Bike can be made short again. Triple crank for Seattle's hills. 70 degree seat tube angle. Can be 'made more shallow' with different post. We like 68 degrees or less. Main frame will not fit a wheel! (10+ cm trail) Hard to control at slow speed. Nice shallow seat tube angle! 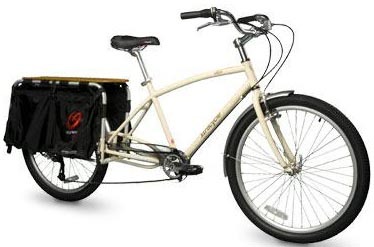 *Step-Thru (aka Ladies) style frames allow for easy dismount with large bulky loads. Basically, you ain't gonna swing your leg over the seat with a kid on back! **The main frame of a Radish was not desigened to ever be a bicycle! A poor decision in our opinion. If the sub frame (Free Radical) ever cracked, which they do, you will be out of a bike until you get it repaired. Or if you just decice not to want the Free Radical someday. Whatever the reason, it limits your options. 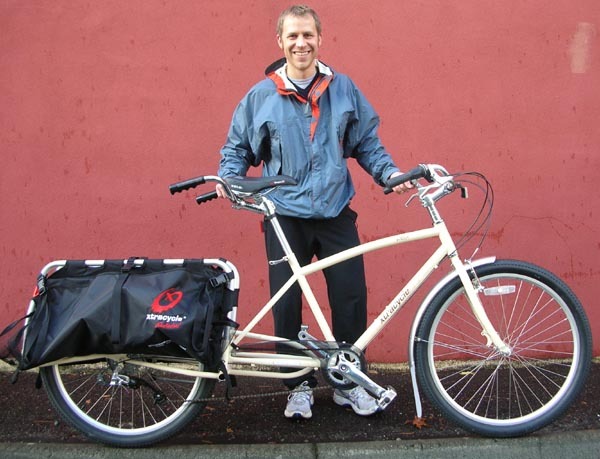 The Radish is a quality made bike and worth the money from that standpoint. 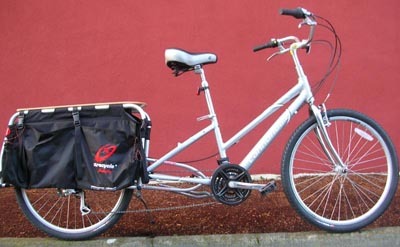 Xtracycle is improving the front end geometery for the next run. However, without front gears the stock version is not good for Seattle. Note: Front gears can be added for about $150-$200. Please note: We will special order a Radish for you if you really want one, but we recommend that you buy it direct from them. They will ship it to us for assembly. That way, you save, money, they make money, we make money and your bike gets assembled to our legendary standards! Win-Win-Win!